See, Here's the Thing is the podcast where pop culture and humor collide. 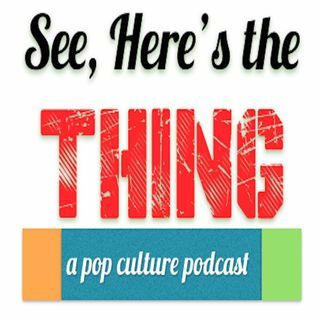 Join hosts Kate & Patrick for a weekly jaunt through pop culture news clips from movies, TV, music, tech, theatre and more! Special guests, improv games, & song covers are gently sprinkled throughout each episode.